Vyvanse (Lisdexamfetamine) is a psychostimulant drug which is used primarily for ADHD disorder (attention deficit hyperactivity disorder). It is a new generation medication which is striving to replace some of the older ones like Adderall and Ritalin. Since it is a newer drug, doctors consider it better and safer for use, therefore, it is more frequently prescribed as an ADHD therapy. It is also stated that it has better absorption and since it is an inactive form of medicine, it has less abuse potential. Vyvanse is a “prodrug” which means it is used in an inactive form and it gets activated inside the body with a specific mechanism. It is linked with lysine and it gets released in the small intestine after which is being activated as a “d-amphetamine” or dextroamphetamine. It has a similar effect as the other drugs for ADHD which reacts in a way where it increases the dopamine levels which eventually reduces the ADHD symptoms. After the initial start of use, the Vyvanse has specific effects on the body, where among those is the result of weight loss. Since it reacts on multiple levels with reducing appetite, increasing the metabolism and reacting on a cognitive level, it can lead to weight loss for which has been used “off-label”. After spotting its effects, on February 2015, it has been approved by FDA for binge-eating disorder therapy. Either way, it is not a healthy way to use it solely for weight loss on a long distance since it affects the whole body. There are several ways Vyvanse can affect weight loss and for most of the people, these methods are metabolism speed increasing, appetite suppression, dopamine boost, etc. It is especially effective in a short-term intake. Since it increases the concentration of dopamine and norepinephrine, the brain gets stimulated and the body reacts in increased metabolism. It is a common side effect of the drug which can reduce the urge to feel hunger and to intake food. Some ADHD patients can sometimes have binge-eating disorders due to a small amount of food intake. This is the response people are getting when they get in a stressful situation where they have to react in a certain way. Your central nervous system gets stimulated to respond and it increases the glucose in the blood and reacts in a way where the stress hormones are getting released such as cortisol, ACTH, growth hormone, tyrosine and tri-iodothyronine, adrenaline. When this happens, your body is in increased awareness state where it slows down the digestive system and it aims the blood flow to the heart and important organs which lead to decreased digestion speed. The body burns the energy it needs through fat and glucose intake which results in weight loss. Vyvanse affects the body in dopamine level rise. When dopamine levels are high, you can feel more motivated and satisfied which can also relate to appetite in a way where you can feel less hungry and have the urge to eat. When you have less dopamine in your blood, you can feel more depressed and less motivated which can lead to an urge to eat and eventually obesity. Dopamine which is being released acts on the central nervous system where it boost the cognitive functions of the brain. Those who have more dopamine can have better concentration, motivation, memory function, and organization. People can have better results with their work, school, and any activity which requires great brain function. It is not a rare occasion where people with better cognitive functions get more involved about what they eat and they are more aware of their body and take healthier choices when it comes to food as well. The overall affect Vyvanse has on the body results in a quicker metabolism which means the body will burn more calories in fat and glucose form and lead to weight loss. That means that even with the same lifestyle and exercise amount, you can lose weight over time with Vyvanse consumption. When you intake some psychostimulant drug, it affects your nervous system, therefore, your whole body in a way where it increases the energy and cognitive function. This means that you will want to be more active and to get moving. It can result in more exercise and moving than before Vyvanse intake, which can lead to weight loss due to a higher calorie burn. Since the Vyvanse affects your cognitive functions and can boost your metabolism, energy levels, mood, and motivation, it can result in an urge to do stuff and to be more productive and to get better. This can mean going to the gym or have a healthier diet and overall lifestyle. When your dopamine levels are low, you have a bad concentration, motivation, mood and it can result in low self-control and ADHD symptoms. This can be unproductive and low dopamine levels can result in a bad mood which can sometimes lead to impulsive eating and obesity. When your dopamine levels are high, you have a better control over yourself which can result in reducing the urge to eat a chocolate cake or eat fast food and carbonated drinks. Some of the drug side effects can lead to weight loss in a way where a person can experience digestive problems such as diarrhea, vomiting, reduced appetite. If you feel nausea, you will eat less and if you have diarrhea and you vomit, it can lead to losing fluids and nutrients which can result in weight loss as well. Vyvanse use on a long-term can lead to some side effects and bad incomes. Some of those are an addiction, rebound effects and withdrawal side effects. Even though it is a newer generation drug with fewer addiction properties especially when compared to amphetamine mixed salts (Adderall), it can cause addiction. It is still considered a “Schedule II” drug which is controlled substance which can lead to addiction. People who are taking Vyvanse can get “addicted” to its effects on a weight loss and start to abuse it. This can result in taking a higher dosage to result in better outcomes and higher weight loss. This can have a bad influence on the body’s health, especially over a long-term usage. When taking over a long-term period, you can develop tolerance to a drug which means that you will need a higher dosage to get the same results which you used to have. You can also become resistant to its effects and start to gain weight which is the opposite of its effects in the beginning of its intake. The higher the dosage, the higher the tolerance developing level until getting the maximum dose. It can lead to serious side effects and weight increase. Over a long-term use, your body can get out of dopamine where it is constantly secreted by the body in increased amount. Storage in the body gets depleted and the body is left with low dopamine levels which can lead to gaining weight and obesity with the increased urge to eat. Vyvanse affects your body in a way where it increases the metabolism. When your body works in increased speed, it needs the proper energy to waste. When the fat and glucose levels become low, the body starts to break down the proteins in the body, mostly affecting the muscles. Your can experience muscle mass loss over time, especially when you have low appetite levels and you eat a poor diet. This can have a bad impact on your health and generally on your body. When you withdrawal from Vyvanse, you can experience low levels of dopamine which result in weight gain, mood swings, low motivation, low cognitive functions and slow metabolism. People usually don’t retain the weight they had while taking the medicine, but get to the weight they were at when they started taking the medicine or they get even more weight. This can be attributed to the “rebound effect” where you body can get more weight because it needs to adapt to the state of not having the medicine and it can result in the same weight as before taking the drug. You can also get depressed due to an inability to maintain your weight after the Vyvanse withdrawal. 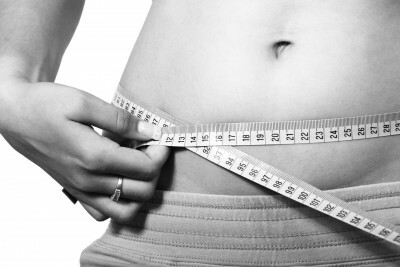 There are a few factors which can be crucial to weight loss effects linked with Vyvanse intake. They can be dosage, frequency, time span, genetics, medication interaction, lifestyle and others. Dosage – The higher the dosage the greater the effect of the drug. There is minimal and maximum effective dosage which you can consider when taking this drug. It is illegal to take it on your own, it is only allowed with doctor’s prescription. Time Span – Those who intake Vyvanse for a few months which is considered short or moderate time span may experience higher impact on weight loss due to a tolerance development over long time usage. Some people report weight loss from 5 lbs to 10 lbs within the first months of use. The weight loss is not mandatory with Vyvanse intake but some reported weight loss over 50 lbs. Next articleHow Long Does Methadone Stay In Your System?